We're almost a month into 2013; time to leave 2012 behind and look forward. There's one part of last year's video games that I can't seem to leave behind, though. Even if I'm mostly finished with last year's games, I'm still listening to the music. Good video game music—the kind that both enhances the game and stands apart from it—is getting more and more common. From the past few years, games like Red Dead Redemption and Alan Wake come to mind as great examples of original and licensed soundtracks, while even smaller games like Bastion are coming up with truly memorable music. This year was no shortage, either. I can't possibly get everything worthwhile, but these are the games I'll listen to into 2013 and beyond. Some soundtracks are meant to convey emotion. I'd say most are. 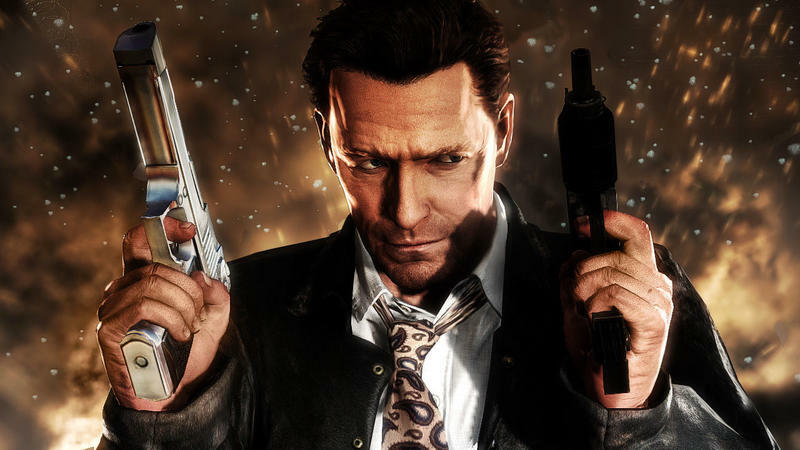 Max Payne 3's soundtrack doesn't force emotions on you, but rather is there to establish the pace of the game and the story. The soundtrack, composed primarily by the Los Angeles band HEALTH, drives you forward when it has to, and other times it lingers and twists as Max suffers from his various addictions. Picking out any one stand-out piece on the album is tough because they all fit together so well. Different pieces fit their areas and events well, but a general mood of mystery pervades the entire soundtrack. Fez is decidedly modern, while constantly calling to mind the 8-bit era during which games came into their own. The soundtrack, too, is a blend of obviously synthetic and some analog, into something that feels more like a natural composition than an electronic one. Like Fez, Journey makes it tough to pick out any one track as the lightning bolt moment, the ultimate example of the game's musical achievement, but there's a reason Journey's soundtrack was nominated for a Grammy. Say what you will about the relevance of award shows, to have a game's entire soundtrack (Versus Civilization 5's Baba Yetu) nominated shows that people in the music world are seeing game music as real compositions worthy of merit. Talking about Journey itself, this is one game I wasn't expecting to like the soundtrack for. I remember watching Lord of the Rings, finding myself actively irritated as the music tried its best to pluck at my heart strings. Journey, probably the most traditionally orchestrated game on this list, feels similarly epic but is much more subtle, just like the game it accompanies. My inclination is to just write "MIAMI VICE" in 72-point font and leave it at that, but I want to do better justice to one of my favorite games from 2012. With so much music lately reminiscent of the 80s (Twin Shadow, Tesla Boy, Com Truise), it would be easy to lose Hotline Miami in the mix. Hotline Miami feels like a weird, fevered dream of Miami, and the track in the video above calls to mind the sultry heat and nightlife of the city with the heavy synth sound and driving beat. Check out the above song with gameplay here. Mass Effect 3 has a markedly different sound from the past games (though it does use some of the previous themes), and the ME3's theme, Leaving Earth, shows how well the music in the trilogy's finale fits the tone. The song is painfully sad, and the reaper-like foghorn reminds us that for these characters, nothing is going to be okay ever again. The whole game is a march toward death and this track is a frequent reminder of the sad, impossible situation Commander Shepard is in. If nothing else, this song deserves mention for it being a Beck song I actually like, but that's not the only reason. Sound Shapes is sort of a music-building game. It's not about arranging blocks like Lumines, or about hitting notes like Rock Band. It's closer to a playable beat sequencer; the reward for collecting all the blips is hearing the whole song. What makes Beck's tracks unique is that instead of being electronic like most of the tracks in the game, his tracks are heavy with vocals and analog instruments, and it manages to feel like a real Beck song rather than something shoehorned in. It's an impressive feat. On top of that, the rest of the game is filled with great music as well, from artists like Jim Guthrie (Superbrothers Sword and Sworcery) and Deadmau5.